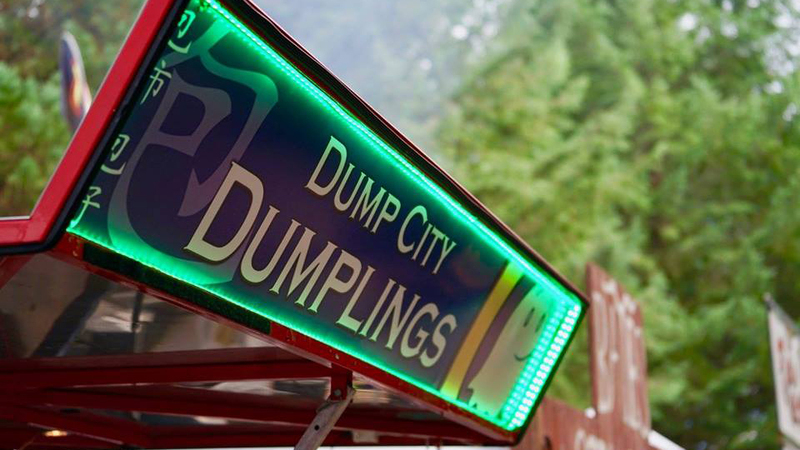 While they take a short break in the cold and dark of winter, Dump City Dumplings is still a late-night food cart you can rely on weekends downtown well after the sun has gone down. Featuring Chinese style steamed bun dumplings in a wide assortment of flavors inspired by cultures all over the world, when they’re not out and about at local events and festivals like Munch ‘n’ Music and Winterfest, they’re squarely planted on the corner of Bond St and Oregon St into the wee hours. They’re there for you so you can accompany your walk home after an evening out enjoying some sweet Bend libations with a no-utensils-needed handful of delicious, steamy dumpling. Their regular menu features a variety of fillings, including pad thai, four-cheese and Chinese pork. They also usually feature at least one special that can run the gamut from Mediterranean to Himalayan to classic American (mac ‘n’ cheese or spicy buffalo chicken, for example). They accompany their consistently good food with cheerful joking and fun.